9" overall. 4 1/2" damascus steel blade. 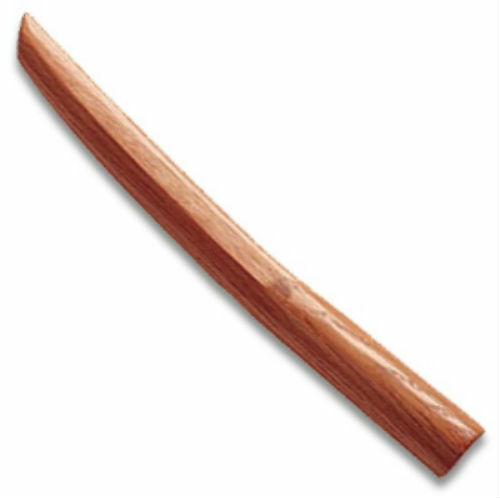 Full tang with filework. Stag handles with damascus steel bolsters. Leather belt sheath. 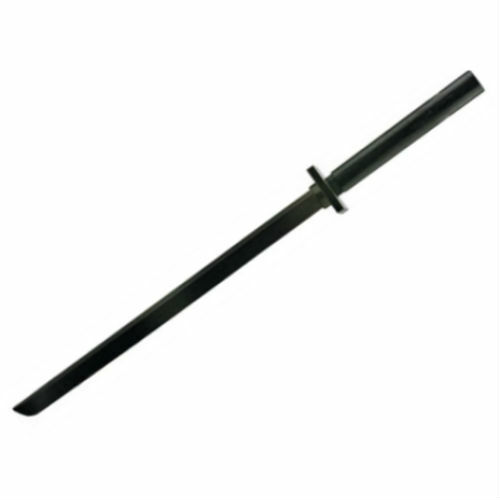 Commando Dagger 13 1/4" overall. 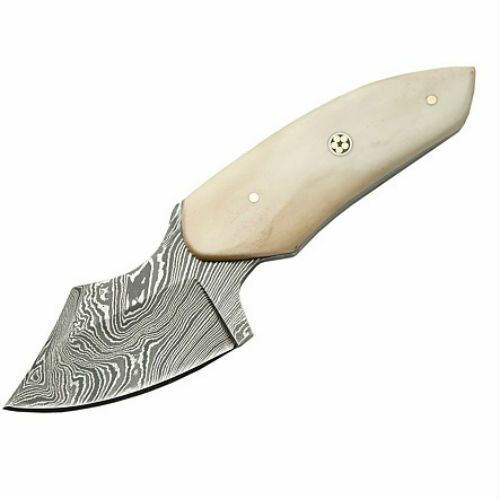 7 3/4" double edge Damascus steel blade. Round design stag handle with brass guard and pommel. Black leather belt sheath. 13 7/8" overall. 8 5/8" damascus steel bowie blade. Round design stag handle with brass guard and pommel. Brown leather belt sheath. 8 1/2" damascus bowie blade. 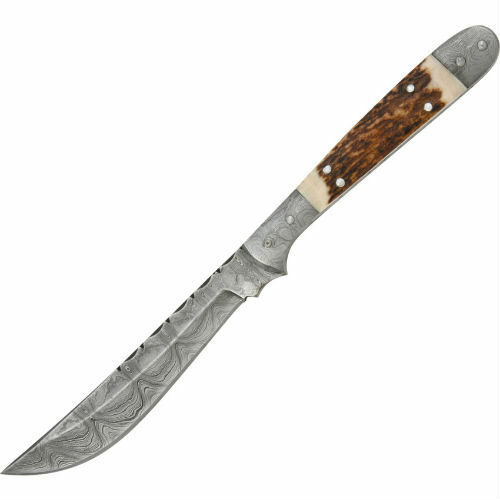 13 1/2" overall length Brown bone handles with sculpted chip design black guard and bolsters. Fileworked spine and Tri Circle inlay shield. Includes leather belt sheath. 16" overall. 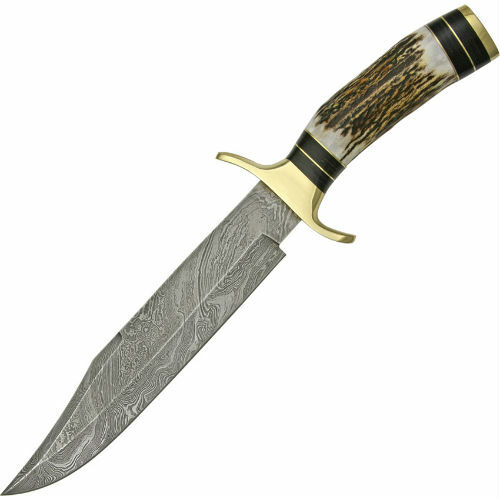 9 3/4" Damascus steel dagger blade. Brown wood handles with brass guard, pommel and spacer stripes. Brown leather belt sheath. 10 3/4" overall. 3 5/8" Damascus steel blade. Stag handle with red and green wood accents and brass spacer stripes. Brass finger guard. Brown leather belt sheath. 12 5/8" overall. 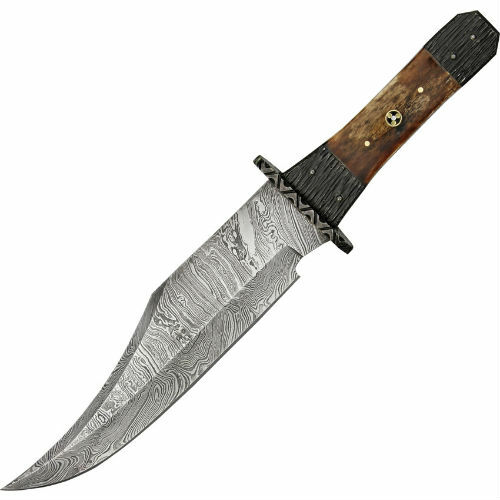 7" Damascus steel dagger skean dhu style blade with false top edge. 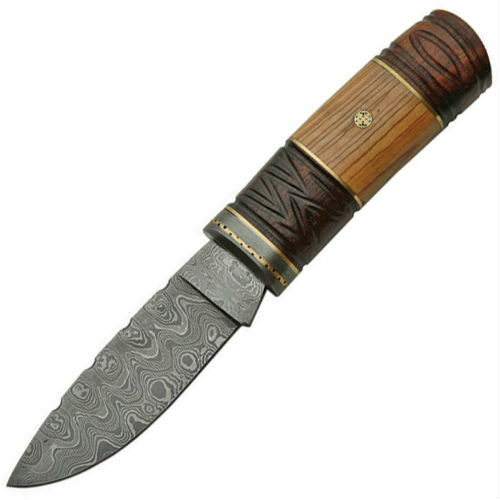 Contoured brown rosewood handle with fileworked stainless bolster and brown rosewood and brass stud accents. Embossed brown leather belt sheath. 9 1/8" overall. 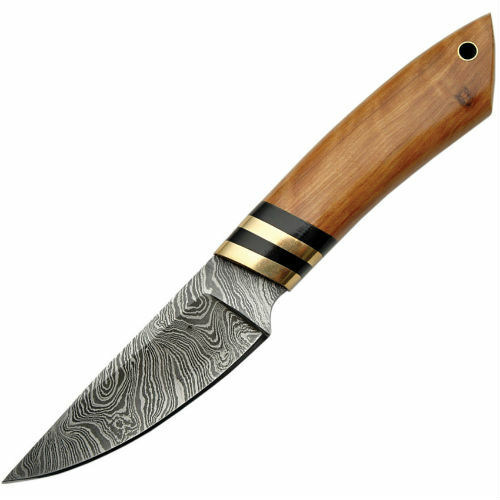 4 1/2" Damascus steel blade with fileworked top edge. 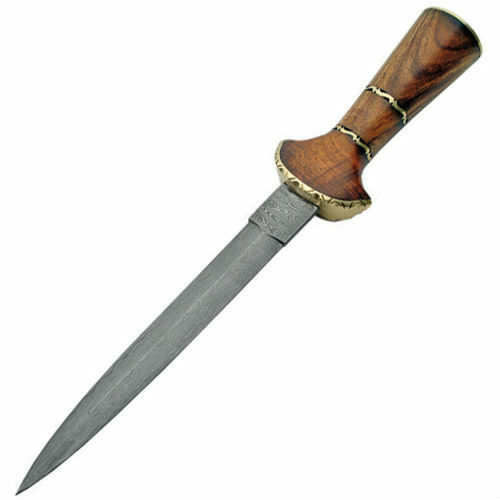 Olive wood and carved rosewood round design handle with brass spacer stripes. Stainless bolster with fileworked brass insert. Mosaic pins. Embossed black leather belt sheath. Fixed Blade Bone Handle 6 1/4" overall. 2 3/4" Damascus steel blade. Full tang. White smooth bone handles. Brown leather belt sheath. *Please note bone is a natural material and coloring will vary from piece to piece. 8 3/4" overall. 4" Damascus steel skinner blade. Olive wood handle with black horn and brass spacers. Lanyard hole. Brown leather belt sheath.